Just been having a chat with Dave Murphy about bezels, so I thought I should introduce myself here. I don't have a lot of time for lots of regular posts but I hope to pop in from time to time. My name's Jason. I'm in Bristol, in the UK and found an interest in horology only about 8 years ago (I'm 47). I'm not really sure what started it but my first mechanical was a SKX013. I've a 6.5" wrist and was conscious of not getting something too big. At the time it did feel big but I soon traded it in for a SKX007 (of course) and now have a PADI Turtle and a SBBN007 as my two biggest watches. My least expensive watch that I wear regularly is a Seiko SNK809 that I modded with the obligatory yobokies Sinn style dial and hands. And today I'm wearing a Cocktail time. 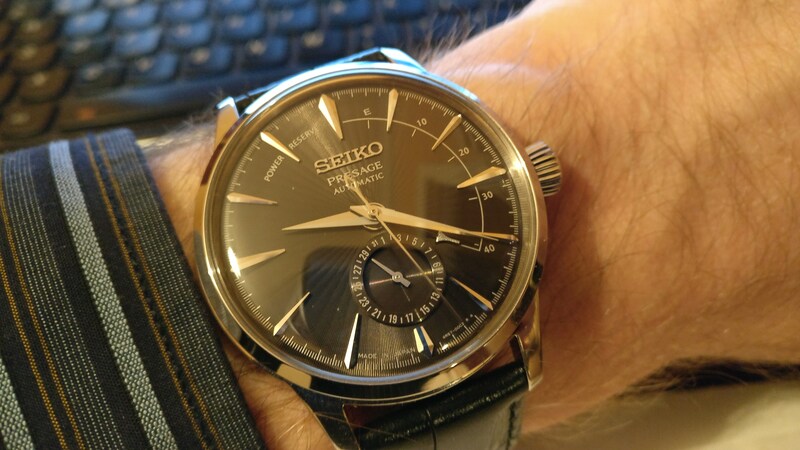 Yes - I like Seiko - sorry.